Bring Hot Sauce Everywhere You Go! Shipped empty, ready for you to fill with your favourite brand of spicy sauce. We love Flying Goose and Huy Fong Sriracha! 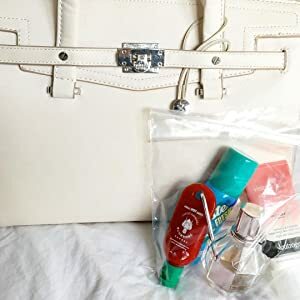 Airport Security Friendly – these keyring bottles are small enough to take through airport security so you can travel happy, with the strong flip cap keeping the sauce safe. The perfect hot sauce gift for a chilli lover – also works with ketchup, barbecue sauce, Sriracha mayo and other seasoning. Compact size, but the miniature bottle holds 30ml of spicy sauce, enough for plenty of meals! Retail Packed for an amazing gift! Ideal stocking filler gifts for your boyfriend or girlfriend at birthdays and Christmas. 100% Money Back Guarantee if you're not fully satisfied! Love Hot Sauce? Now you can bring it everywhere – To restaurants, the office, or on-the-go, you'll never be stuck without spice! 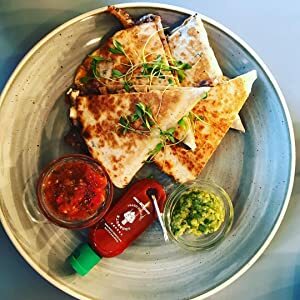 Hot sauce lovers all have the same problem – sometimes you just can't get the hot sauce needed to make your meal perfect! 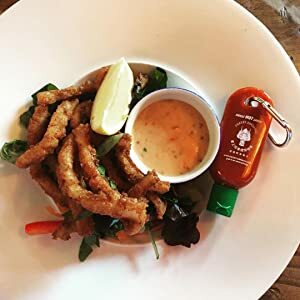 With Pocket Sriracha, you can bring hot sauce everywhere you go so you can enjoy it with every meal, even in the office, at a friends house, or your favourite restaurant! SQUEEZE IT – Squeeze and enjoy tasty hot sauce with your next meal, no matter where you are! No hot sauce in this restaurant? No problem! 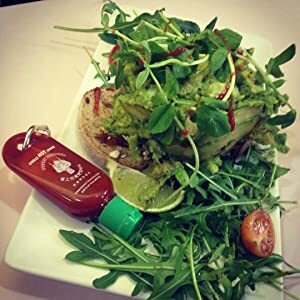 No matter what type of food you enjoy, you can have hot sauce – even if the restaurant or cafe doesn't have it! 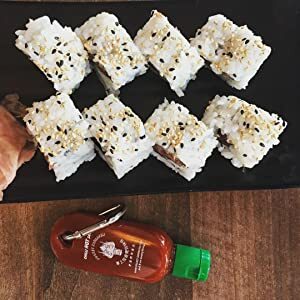 Just grab your Pocket Sriracha from your bag, pocket or purse, and you're ready to spice up your meal. 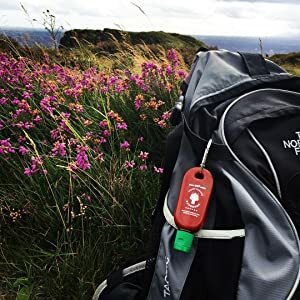 The strong flip cap ensures your bag will stay mess free. The compact 35ml capacity allows you to carry plenty of hot sauce, but the mini bottle still fits easily away when you're on the move. When your bottle is empty, just rinse it and fill it again for next time! Hot Sauce in the Sky? 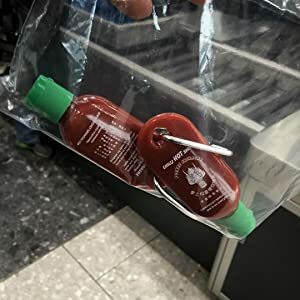 The next trip you take is going to be a hot one – Pocket Sriracha's 35ml capacity is fully allowed within the airport security liquid limits. Just slide it in with the rest of your liquids and fly off to your destination, safe in the knowledge that any meal you have can have spice! Your restaurant experience just got better! Choose the perfect hot sauce for your upcoming meal and be prepared. You want it spicy? No problem. 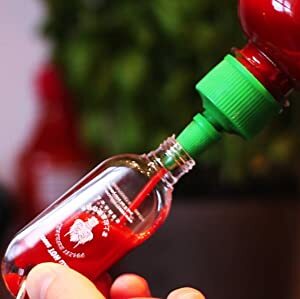 Pocket Sriracha means you can choose when you want chilli sauce (and you don't have to be stuck with boring old ketchup). Take your culinary journey to the next level, and enjoy hot sauce in your pocket today!